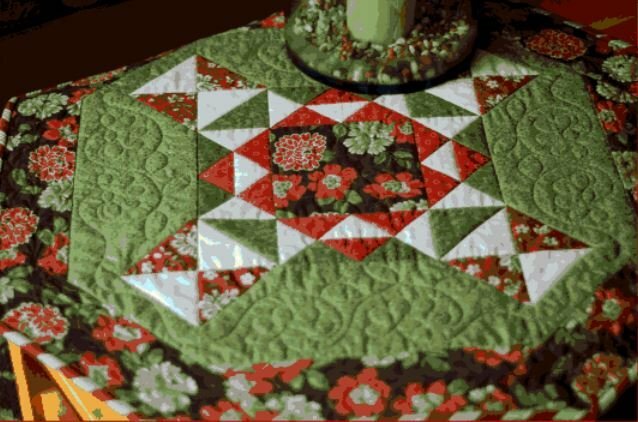 We love this octagonal table topper design by Cindy Lammon of Hyacinth Designs! 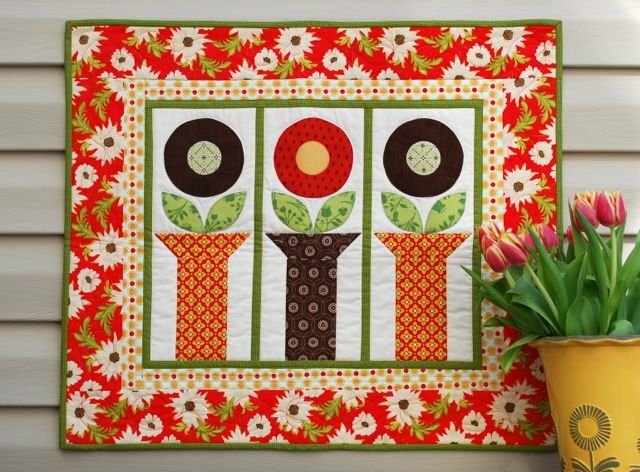 Cindy is a talented designer and this project is a bonus design from her wonderful book, Flower Pots. 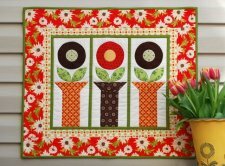 Be sure to follow the link below to her tutorial page where you will find other great projects like the second image to the side, Cindy's Blooming Button Flower block bonus design. What do you think of this table topper?